It’s standing room only at the government forums on caribou recovery: hundreds attend in Prince George; it’s standing room only in Williams Lake; the NDP is quick to blame the feds (Vaughn Palmer); the herds have disappeared in National Parks where no development occurs (Tom Fletcher); and a wrong decision may wreck havoc (retired mayor of Chetwynd). In other news: BC must consider coastal forestry’s unique challenges (Don Demens, WFP); market prospects good despite US protectionism (Business in Vancouver); BC falling short on biodiversity (CPAWS); WTO softwood ruling applauded (Oregon lawmakers); and FSC takes heat over Roseburg complaint. Finally, the tallest tropical tree in the world—at 100 meters—is a Malaysian yellow meranti. VICTORIA — Called to account Wednesday for a caribou rescue plan that threatens hundreds of forest jobs in the northeast, the New Democrats fell back on the excuse that Ottawa made them do it. …The alternative, said Donaldson would be even worse: “The path that we were headed down … was leading to a result where the federal government would unilaterally impose an order, based on habitat only, that would be catastrophic to workers, catastrophic to communities, and could result in billions of dollars in economic losses in B.C.” …But they also admit that (as one official put it) “you could stop all logging today, and it would take decades for the habitat to recover, and you would still need predator control.” …On that expectation, the province might try to preserve jobs now while experimenting with more proven methods of restoring populations. The officials … have admitted the decline in caribou herds has been partly reversed by culling wolves. The Business in Vancouver article “Coastal Forestry Revitalization Plan Awaits Reality Check” raises an important question about whether the provincial government’s revitalization plan will meet its stated objectives. …Coastal lumber manufacturers are forced to pay the highest duty costs of any region in Canada on the lumber we ship to the US due to the high cost and value of our products. Coastal sawmills must also compete for logs with jurisdictions like Japan that offer massive subsidies to their forest products industries. …New government policies must recognize the uneven playing field faced by coastal sawmills and remanufacturers. …We believe a good place for government to start its policy implementation is with improving the B.C. coastal stumpage system. …The higher costs challenge sawmill economics and result in lower operating rates. …It is imperative that we avoid unintended consequences from policies that add even more costs or restrict supply of B.C. lumber products to our global customers. Despite a recent sharp dip in lumber prices in the U.S., and despite American protectionism, long-term prospects for B.C.’s forest industry look good, industry leaders said during the annual COFI convention in Vancouver. Chris McIver, West Fraser Timber’s senior vice-president, said pent-up demand, especially in remodelling and repairs, means there is likely to be continued demand for lumber in the U.S. One of the challenges is timber supply, not just in B.C. but in other parts of North America as well. …The only region where supply is growing is the U.S. South, McIver said. …Kevin Pankratz, Canfor’s senior vice-president, said the industry expects the market in China for all kinds of wood products to continue growing, as China’s economy shifts more toward a domestic economy. …Bart Bender, senior vice-president for Interfor, said there are huge opportunities in mass timber construction. He pointed out that engineered wood products like cross-laminated timber consume more board feet of lumber. Reps. Peter DeFazio (OR-04) and Greg Walden (OR-02) today applauded the decision by a World Trade Organization (WTO) dispute settlement panel to uphold the United States’ anti-dumping measures against unfairly subsidized Canadian softwood lumber imports. “Today’s ruling gives the U.S. softwood lumber industry the chance to continue to compete on a level playing field against the Canadian industry,” said Rep. Peter DeFazio. “The panel’s decision to reject prior WTO findings is a critical win against unfair practices and will allow the U.S. to continue its fight to protect manufacturing jobs in the Pacific Northwest and throughout the United States.” …Rep. Greg Walden said, “I applaud President Trump and his administration for their commitment to push back against the dumping of Canadian-subsidized lumber into U.S. markets. This unfair trade practice undermined the softwood lumber market and threatened good, family-wage jobs in our state and throughout the Pacific Northwest”. L’ANSE, Mich. — State regulators say a power plant in the Upper Peninsula can burn fuel pellets to make electricity. …They’ll be burned at the L’Anse Warden Electric plant in Baraga County, which supplies electricity to DTE Energy. 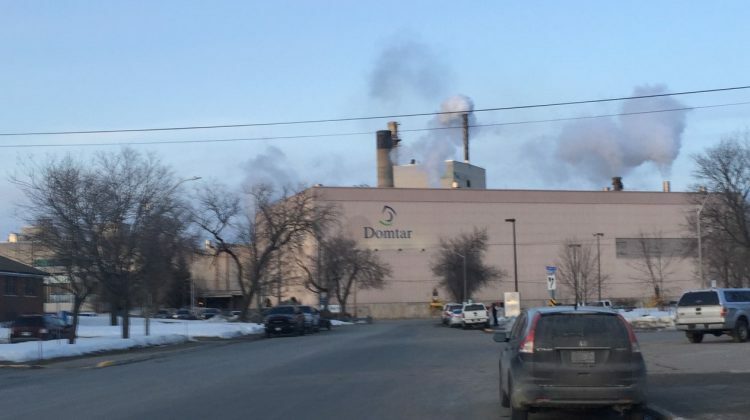 The Department of Environmental Quality issued a permit at the end of March with some conditions. The power plant will not be allowed to burn pellets and scrap tires at the same time. The daily maximum amount of scrap tires has also been reduced. A local group, Friends of the Land of Keweenaw, has expressed concerns about the power plant’s emissions. According to certain “studies”, wood claims a smaller environmental footprint than any other major building material. However, a closer look at the facts reveal some significant inconsistencies with that claim. A study cited often by the wood industry was published by the Consortium for Research on Renewable Industrial Materials (CORRIM) and is based on outdated information. For example, it made incorrect assumption about the quantity of steel needed of its comparisons. MYTH: Studies demonstrate that wood is a more sustainable material than steel. REALITY: The most-cited study contains numerous incorrect assumptions about steel, and it omitted wood impacts. Wood is typically a single-use material. At the end of its life, a building’s wood frame is typically land filled or incinerated. This returns any stored carbon dioxide back into the atmosphere as either carbon dioxide or methane… In comparison, steel is the world’s most recyclable material. Slabs of immaculately hewn maple, walnut and arbutus await delivery in the loading bay at Duncan’s Live Edge Design. Nearby, contemporary, resin-infused countertops are contrasted with the clean simplicity of a rustic dinning room table. All are works of art that infuse an otherwise nondescript industrial park with a sense of magic that lures visitors to ponder the inspiration and skilled craftsmanship at the heart of each piece. “No tree is firewood in our eyes,” says designer Stephanie Farrow. “No two pieces are the same, and I love working with the challenges of each piece.” …While the milled lumber dries in the yard and kiln for up to eight months, Stephanie is hard at work indoors bringing ideas to life. Images of the raw materials are uploaded to Photoshop, where different permutations are laid out for clients to consider. This story is part of a series, Destined to Burn, in which a partnership between journalists from USA TODAY Network-California, McClatchy, Media News and the Associated Press explore the urgent wildfire issues facing California. …The arc of destruction the Camp Fire carved through Paradise was seemingly random: Why were some houses saved and others incinerated? As millions of Californians brace for another wildfire season, a McClatchy analysis of fire and property records shows the answer might be found in something as simple as the roofs over their heads — and the year their house was built. A landmark 2008 building code designed for California’s fire-prone regions — requiring fire-resistant roofs, siding and other safeguards — appears to have protected the Carrells’ home and dozens of others like it from the Camp Fire. …Nevertheless, experts say, McClatchy’s analysis reinforces their belief that California’s fire-safe building code can make a difference in an era of increasing vulnerability. John Heagy stepped out of a stairwell onto the third floor of a building known as T3 West Midtown in Atlantic Station. …To the untrained eye, the unfinished seven-story building …might look like any ordinary mid-rise office. But look a little closer, and you’ll notice those massive wooden columns and beams aren’t just for show. The 230,000-square-foot project by Houston development giant Hines is believed to be the largest timber-framed office building in the U.S., or at least it will be until Hines completes a slightly larger sister project planned for Chicago, Heagy said on a tour of the building, scheduled to open in September. …The lumber is sourced from managed forests in the Pacific Northwest and Austria, Heagy said. 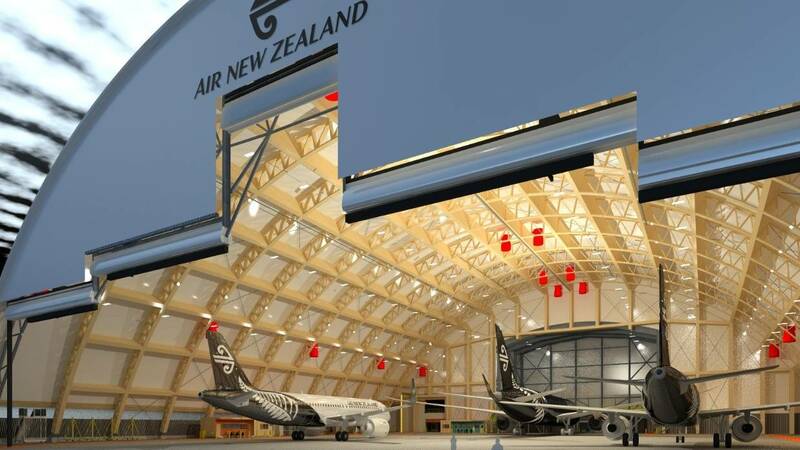 The heavy timber construction method, which now features sophisticated laminated wood beams from managed forests, is popular today in Europe, though it remains a rarity in the U.S.
Air New Zealand will begin construction on the largest single span timber arch aircraft hangar in the world at its engineering base in Auckland later this year. …The new timber hangar will be a 5-6 Green Star development certified by the New Zealand Green Building Council, meaning it will meet the highest standards of sustainable building construction and operation. A double-layer insulated fabric roof will enable the hangar to retain heat without the need for a heating system, while several large ceiling fans will circulate warm air back down to floor level in winter and provide a cooling effect in summer. …We now have a need for a more modern, innovative structure that takes energy use and other sustainability factors into account. …northern and eastern British Columbia has been preoccupied, distressed, and anxiety-ridden for many months with the lack of information, and consequent proliferation of misinformation, around the caribou recovery efforts of the Government of British Columbia. Some of you will still be uninformed or worse, misinformed. A wrong decision on caribou recovery has the potential to wreak enormous havoc on our Peace River economy and especially on the lives of those who have made their homes here. A wrong decision has the further potential of wreaking serious havoc on British Columbia’s major revenue sources for hospitals, schools, rapid transit and on virtually everything that we hold dear as a society. …SARA is being improperly applied to local population units (LPU) of a globe-circling species. …Mr. Premier, please respect the needs of the human species in your final decision and please relieve our collective anxiety by deciding soon. PRINCE GEORGE— Over 500 people packed the auditorium at the Conference and Civic Centre to hear what the federal and provincial governments have planned to recover the Woodland caribou populations. …”The moratoriums would apply once the agreements are signed,” explains David Muter, Executive Director for Species At Risk Recovery. “So we want to gather that feedback from folks here. We know that there’s a lot of concern.” …Muter assures there are no restrictions to the backcountry access, which was a major source of concern from some in attendance. However, industry is sounding the alarm. …”Our belief is, if the draft agreements go ahead as proposed, there will be significant job loss in Chetwynd,” says Kevin Horsnell, Canfor. …”The possible economic impact there might be the closure of a mill in Chetwynd.” Also, the timber supply for Mackenzie is in question, as a portion of the area under restriction affects the Mackenzie Timber Supply Area. It was standing room only in the Gibraltar Room in Williams Lake Monday evening when representatives from the provincial and federal governments hosted the Southern Mountain Caribou Community Engagement Session. The 400-plus people in attendance. …“Caribou are in tough shape,” said Darcy Peel, director of Caribou Recovery for the B.C. Ministry of Forests. …The government has shut down the legal hunt of bulls recently, but longtime Anahim Lake area residents said “It’s the wolves, that’s what’s changed.They’re everywhere.” …In the Q&A period of the session… whether or not the government was finally going to step in and support rural communities with a predation management plan. …Curtailing how resource industries do business in rural areas was a tough sell in Chetwynd last week. …In the Williams Lake area, however, much of that work had already been done through the Cariboo Chilcotin Land Use Agreement. Peel said that agreement will be followed. VANCOUVER – The Canadian Parks and Wilderness Society, BC Chapter (CPAWS-BC) just released its preliminary analysis of progress towards biodiversity conservation in BC. This special report finds that the province needs to set its sights much higher than Canada’s 17% biodiversity conservation targets in order to stop the rapid decline of wildlife populations currently being experienced across the province. Existing protections are nowhere near enough to adequately conserve biodiversity. “In less than two weeks, environment ministers from around the world will be sitting down together to share progress towards international biodiversity targets for 2020, and right now the resounding message from BC is that these protection targets aren’t high enough to sustain our wildlife populations,” says Jessie Corey, Terrestrial Conservation Manager for CPAWS-BC. “…We need to start looking to international examples of 30% protection targets or even 50% if we expect to give nature a fighting chance,” she says. Sierra Club B.C. is offering a six-week crash course on the state of old-growth forests on Vancouver Island, which they say is being logged at alarming rates with little government action in response. The six-part webinar, running from April 11 to May 16, will offer information on the current state of the forests, policy in B.C. surrounding the issue and what people can do to defend the old-growth forests. “Really what needs to happen is the B.C. government needs to feel more pressure, to see that people really care about protecting old-growth forests, and develop a forest policy that makes sense in B.C.,” says Galen Armstrong, lead organizer for the event. …Registrants will hear from Jens Wieting, a senior forest and climate campaigner, Mark Worthing, conservation and climate campaigner, along with other leaders in the fight against climate change. Soaring above pristine glaciers, rugged mountains, and remote valleys, Steve Finn spends his summers over places few will ever see. Steve—BCIT faculty for 29 years—is Program Head for Forest and Natural Areas Management (FNAM) and his summer job is as a fire warden for the BC Wildfire Service. During peak wildfire season, Steve is the air patrol specialist for the Coastal Fire Centre, BC’s most populated area. According to Steve, this role is 95% being a tourist and 5% adrenaline rush. …Steve is often called to patrol after a lightning event, or when fire danger is high, and will radio his Initial Fire Report (IFR) to a dispatcher, located in Parksville, from almost anywhere on the coast. …Steve’s passion for forests and pursuit of wildfire prevention is partly motivated by his desire to bring real-world experiences to his students. …Steve’s hope is that his students will spread this knowledge throughout BC. WILLIAMS LAKE, BC — On April 8, the City learned its application to the 2019 Community Resiliency Investment Firesmart Community Funding was approved. Director of development services Leah Hartley said it will require services of forestry professionals working in collaboration with the BC Wildfire Service, property owners and City staff. …Hartley recommended that registered professional forester Ken Day be hired to manage the project. … “We typically don’t go and directly award a contract of this magnitude, but the fire season is already underway in the region, and Day is a highly respected and has extensive knowledge with our fire region,” Coun. Scott Nelson said. …The project will be part of the City’s emergency planning and operations program and is part of the 2019 budget. WEST LAFAYETTE, Ind. – Climate change, nitrogen deposition and fire suppression are leading to shifts in the types of trees that dominate American forests. These changes will have environmental consequences, potentially positive and negative, according to a Purdue University study. Songlin Fei, a forest ecologist in Purdue’s Department of Forestry and Natural Resources, with colleagues from the U.S. Forest Service and Indiana University, developed a mycorrhizal tree map of the contiguous United States. The map, developed based on more than 3 million trees, shows the abundance of trees associated with mycorrhizal fungi, which have symbiotic relationships with tree roots. 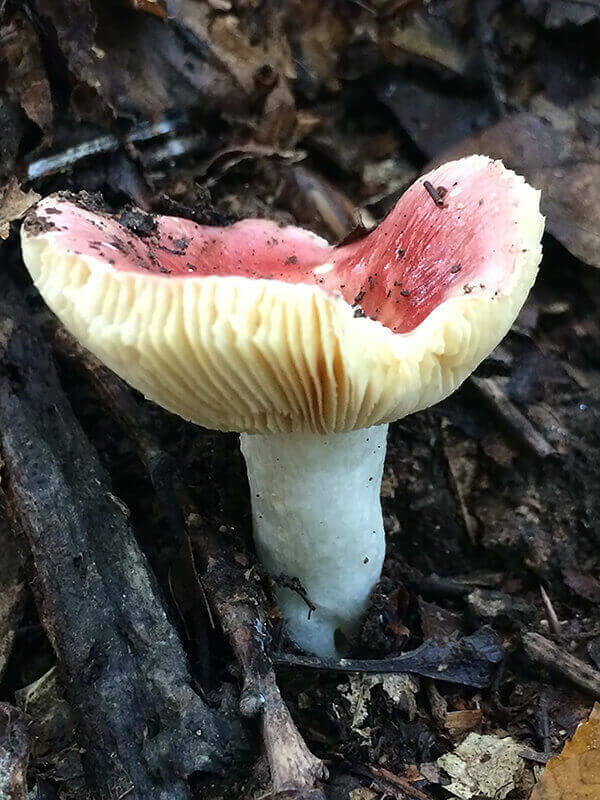 …Over the last three decades, the authors find, forests dominated by ectomycorrhizal trees have given way to those dominated by arbuscular mycorrhizal species. That’s due in large part because arbuscular mycorrhizal trees are better suited for the conditions associated with climate change. A tool forest managers use to determine the level of fire danger is getting its first update in more than 40 years. 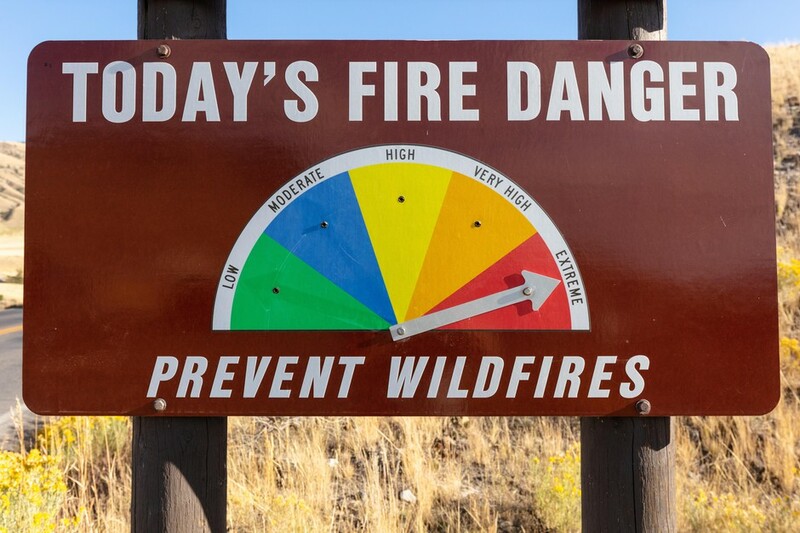 The National Fire Danger Rating System uses information like temperature, humidity and wind to let firefighters know how wildfire will behave. “It allows us to combine a lot of information to produce a very simple categorical scale of fire weather conditions for a particular place on a particular day,” said U.S. Forest Service researcher Matt Jolly. Jolly helped develop the update for the system, which will be available for fire agencies, public lands managers and others to access in time for fire season this year. He says the new system will be automated. 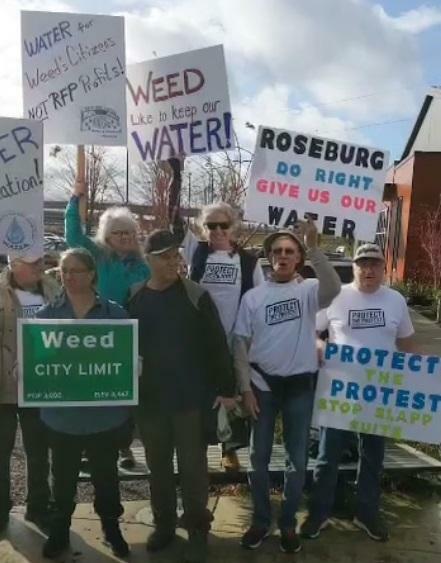 …“The goal is to have all operating areas in the Pacific Northwest under the new system in 2020,” said Forest Service spokesperson Stephen Baker in an email statement. CHICO, California — With nearly 40 million people living in California and development spreading into once-wild regions, some of the state’s best tools toward preventing wildfires can’t be widely used. Still, there is growing agreement that the state must step up its use of forest management through prescribed burns and vegetation removal in an attempt to lessen the impact of wildfires. …Cal Fire and the state Board of Forestry estimate 23 million acres in the state’s responsibility area could benefit from fuel reduction. And those treatments aren’t one-time efforts: they must be repeated every few years to be effective. Among the biggest complications in forest management are California’s strict environmental regulations. Forest treatment projects must obtain approvals under the California Environmental Quality Act. 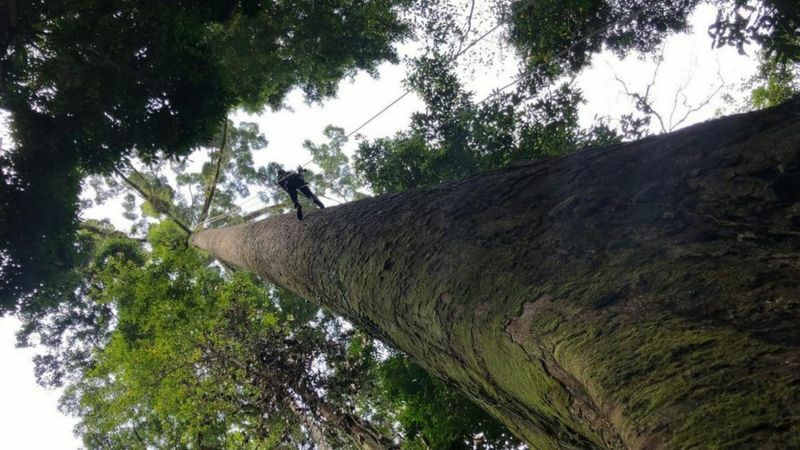 Tallest tropical tree: What’s it like climbing a tree 100 metres tall? It’s been discovered growing in Sabah, a Malaysian state on the island of Borneo, and is the first 100-metre tropical tree recorded anywhere in the world. …A team of scientists from the University of Nottingham and University of Oxford climbed it. …The research teams working with the South East Asia Rainforest Research Partnership are in the process of writing up the amazing find in a scientific journal. …This type of tree is a yellow meranti (Shorea faguetiana), but this specific one has been named “Menara”, Malaysian for tower, by the team who discovered it. They’ve estimated it to weigh about 81,500 kilograms, excluding the roots – more than the maximum takeoff weight of a Boeing 737-800. Georgia’s more than 24 million acres of forest produce a bumper crop of branches and other woody scraps. Now, timber industry players want those leftovers to power air conditioning and lights for more of Georgia Power’s 2.6 million customers. And they’re pressing state regulators to make it so. This week, timber industry representatives asked the state Public Service Commission to ensure biomass — organic matter that can be turned into fuel — gets broader use by Georgia Power. The company’s proposed update to long-range energy plans calls for more renewables, but don’t specify biomass. …But just because it’s readily available doesn’t mean it’s the best option, some say. Even forestry proponents acknowledge that biomass isn’t the most affordable energy for consumers. Environmental groups wrestle with how clean the technology is. Vancouver lawyer Lisa Helps has been contracted by the Province to assess how WorkSafeBC implemented worker safety recommendations following the two sawmill explosions at Babine Forest Products and Lakeland Mills. Helps will also provide advice on potential legislative changes to improve safety for B.C. workers. …Helps will seek input from relevant stakeholders and staff in WorkSafeBC and the ministries of Attorney General, Public Safety and Solicitor General, and Labour. She will also invite workers affected by the explosions, and their families, to share their perspectives on the issues under review. A report, including recommendations, will be delivered to the attorney general by mid-July 2019.